Back in print with an amazing new cover. In ancient China a slave girl who is told she is not worthy of a name witnesses the brutal carving up and pickling of a dragon. When the remaining dragon is threatened, the girl takes a chance and rescues him, fleeing her brutal master. The pair are free, but a long way from safety. They must travel across China, evading a ruthless dragon hunter and protecting a mystic stone, the dragon stone. This is a story of incredible beauty, with a delightful mix of fantasy and history. 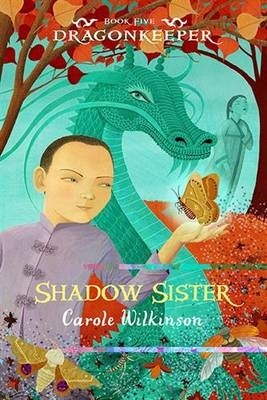 The dragon and his young keeper are created with such intricacy that it is hard to believe author Carole Wilkinson was not a first-hand witness to the events she describes. Wilkinson’s earlier books were good – but this one, her longest yet, is simply brilliant.